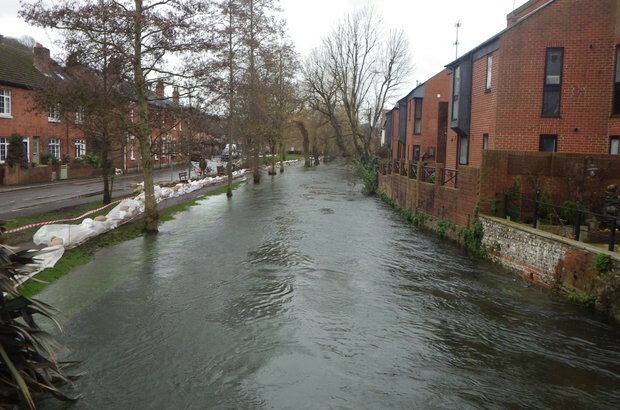 After the terrible floods of early 2014, we have been busily working in partnership with Hampshire County Council, Winchester City Council and Southampton University to deliver new defences to reduce the risk of flooding in Winchester. The crystal clear waters of the River Itchen normally flow gently through the city centre. Flows in the Itchen are closely tied to groundwater levels in the chalk aquifer that underlies much of northern Hampshire, and therefore vary little throughout the year. However, in exceptionally wet winters, prolonged rainfall can lead to a significant rise in groundwater levels and flows within the river. When this happens, flood flows arise within the Itchen that can last for weeks. The last time this happened was during the winter of 2013/14. Sustained heavy rain led to record groundwater levels in the chalk, which in turn led to record flows within the Itchen. The rising river levels began to overtop the river channel, flooding low lying areas in the city and threatening to spread further into the city centre. Particularly at risk were St Bedes School and the Winchester College of Art. 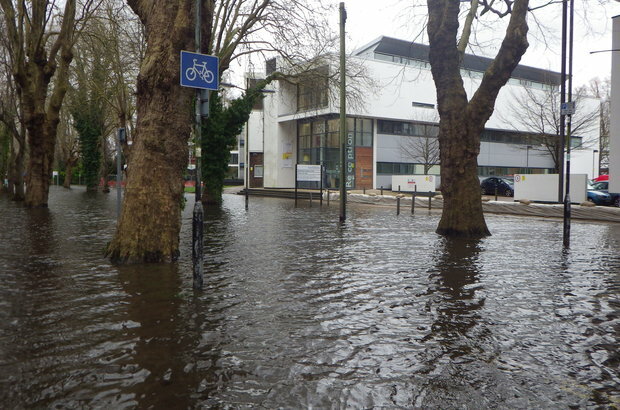 Only a combined multi-agency effort from the Environment Agency, emergency services, the military, Winchester City Council and Hampshire County Council prevented more widespread flooding. A co-ordinated programme of flow management early in the flood event ensured that conveyance through the city was maximised, whilst preserving flood storage capacity upstream for when it was needed most, later in the floods. Temporary barriers and sandbag walls were deployed along with pumps to successfully contain the spread of floodwater, while temporary dams constructed upstream of the city reduced the river flow to a more manageable level. Following the floods it was recognised that Winchester needed to be more resilient in the event of a flood, with less reliance placed upon emergency response. Capital funding to construct a flood alleviation scheme was allocated in the Government’s 6 year flood defence programme. However, construction was not due to commence for several years. In the interim, individual authorities were keen to carry out work immediately to protect their properties. We recognised an opportunity to bring partners together to deliver a single scheme to benefit the whole city. Everyone was enthusiastic about the prospect of working together so we set up a project group and secured joint funding. The significant contributions put forward by partners allowed Flood and Coastal Erosion Risk Management “Grant in Aid” funding for the project to be provided at an earlier stage than otherwise would have been possible. As well as bringing the project group together, we provided technical advice and guidance, and led on drafting a business case for the scheme. 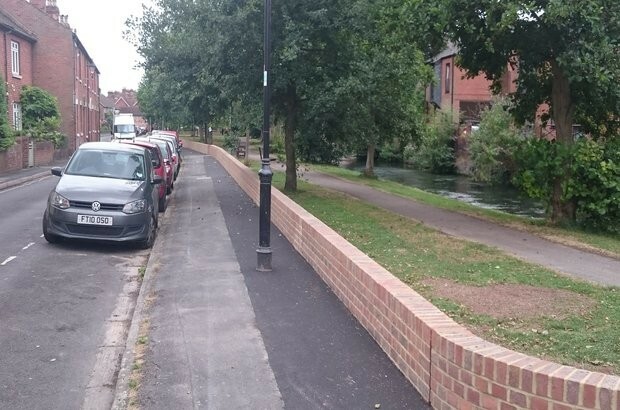 The first section of the scheme has already been completed - a new flood wall designed and built by Winchester City Council significantly improves the flood risk management along Water Lane. Detailed design for the main section of flood defences is being led by Hampshire County Council and is well under way, with construction work due to begin in 2016.